CARAGON FLEX is creating efficiencies and transforming the business of retail pharmacy in the UK & Ireland. See detail below of some of the problems we are solving! Net Prices vs Contracted Prices – cross referencing agreed prices with suppliers against invoices can show up huge savings in pharmacy. Unclaimed Items – anywhere there are government bodies and claims involved, there is generally money left unclaimed. We use your data to identify these but we will also enable you to action them from the platform. There are many examples in the market (NMS, MUR, PCI, PCRS Claims). Overrides – store overrides can be a source of lost revenue. We can put controls in place to account for overrides and once measure we have seen reductions of up to 70%. Stock Optimisation – given that pharmacy stock can go out of date, it is critical its optimized before that point. NMS & MUR – only for the UK we can use data in to identify patients entitled to New Medicine Service and Medicine Use Review to ensure all claims are made. Teams can spend up to 90% of their time managing data in multiple systems and particularly in Excel. FLEX allows us to automate the import, export and general management of data for tasks like flash and general account preparation, KPI data, auditing (in-store, rx process, health & safety, industry standards), RX requests. EPS nominations, scripts owing. Tired of trying to manage data across multiple systems and data sources? FLEX gives you the platform to centralize all your groups data and get one single view. 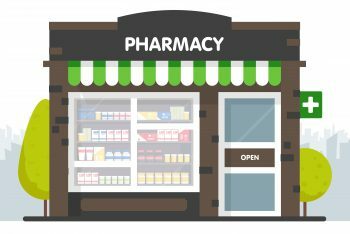 Pharamcy data is one of our areas of expertise and we can extract data from any source and have connections to all the pharmacy systems. All group data that is in FLEX can be viewed in dynamic dashboards. We don’t just issue you with pre-canned reports, we can cover the basics but also look at what you need and create the solution custom to you (prescription items, PSI, MURs, switch items , OTC, cash discrepancies, public/private splits).